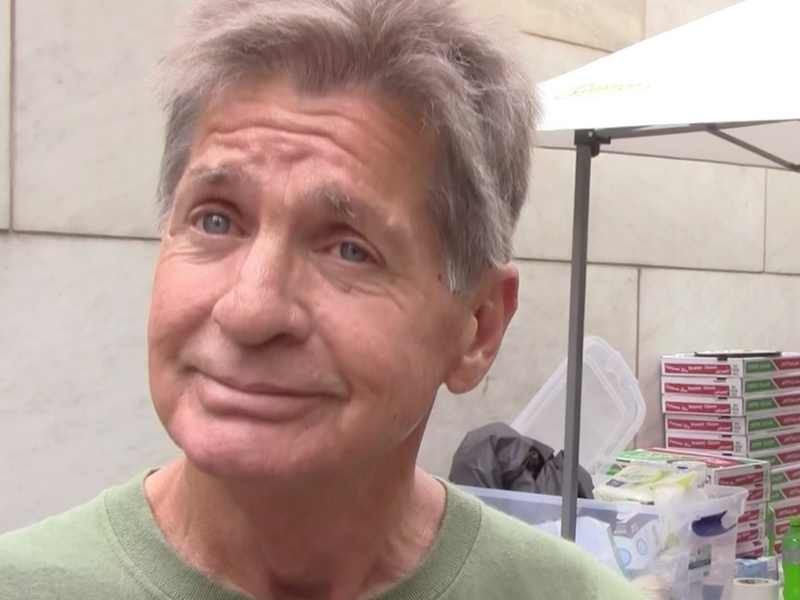 After Ken Martin's death, should Greater Cincinnati be doing more to help our homeless people? CINCINNATI -- Those who knew Ken Martin describe him as a gentleman with a ready smile who managed to stay positive, even during his toughest times. For his friends, that warmth and kindness made Martin’s lonely death all the more tragic. Cincinnati police found Martin unconscious at Government Square during the early morning hours of Dec. 26. The Hamilton County Coroner hasn’t yet determined what caused his death, although the temperature was below freezing that morning. Ken Martin in May 2017. There were nearly 100 beds available at the city’s Winter Shelter just a mile away from where Martin died. But for people like Martin, homelessness is more complicated than access to a cot or mattress in a warm room. And his death has ignited a heated debate over whether the region is doing enough to get some of its most vulnerable residents out of the cold. People who sleep outside make up a small percentage of Hamilton County’s homeless population. Of the more than 7,100 people who were homeless in Hamilton County in 2016, 84 percent went directly into shelters and never spent time on the streets, said Kevin Finn, the CEO of Strategies to End Homelessness . Only 10 percent of homeless people lived on the streets, while six percent spent some time in shelters and some time on the streets. This marks the seventh year that Cincinnati has had a Winter Shelter specifically for people on the street to come in from the cold each night. Even those who have been kicked out of shelters for some reason at other times of the year can seek warmth at the Winter Shelter in Queensgate, Finn said. But the facility closes at 6 a.m. daily, and there are reasons homeless people on the street choose not to stay there even when it’s bitterly cold outside. Samuel Landis lived on the streets for more than 20 years. He suffered from untreated mental illness and drank and did drugs to self-medicate. Landis said he remembers going to the old Drop Inn Center in Over-the-Rhine years ago, looking for a safe place to sleep. But someone there stole his wallet and all his money, and it made him wary of going back. 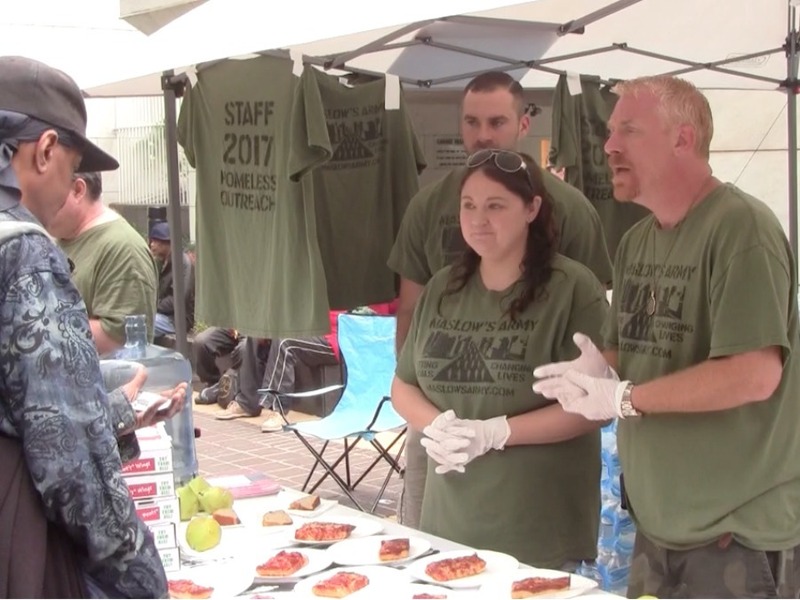 Samuel Landis, right, and his wife, Susan, center, during a Maslow's Army outreach on Memorial Day weekend. The Landises are co-founders of Maslow's Army. Homeless people suffering from mental illness or homeless veterans suffering from PTSD also can be overwhelmed by the idea of sleeping in a large, dark room surrounded by strangers, Landis said. Those who work within the shelter system know there are some homeless people who won’t want to sleep at a shelter, no matter how cold it gets. Untreated mental illness that results in anxiety and paranoia is one big reason, Finn said. But people who are addicted to drugs or alcohol also sometimes avoid the shelters because they can’t stand the thought of spending a night without being able to take a drink or get high. People should be less concerned about getting robbed than they were years ago when Landis was living on the streets, Finn said. Several new shelters have opened in recent years thanks to the tens of millions of dollars the region has invested to improve services for people experiencing homelessness. Shelterhouse , formerly known as the Drop Inn Center, operates two separate shelters now for men and women. The David and Rebecca Barron Center for Men in Queensgate, which also houses the Winter Shelter, opened in October 2015. The facility has more places to store belongings securely, Finn said. And while there are no regular homeless shelters in Hamilton County that serve couples without children, couples that are homeless can sleep next to each other at the Winter Shelter, Finn said. The people who sleep there aren’t required to participate in any other programs at the shelter if they don’t want to or don’t feel ready for them. 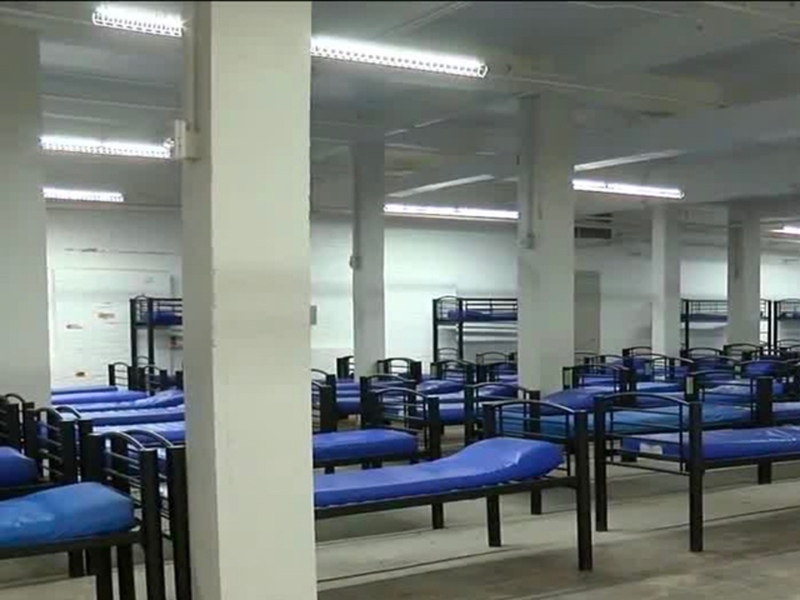 Even without lots of rules and requirements, though, a crowded shelter can be a difficult place to stay, said Kim Webb, executive director of the Emergency Shelter of Northern Kentucky in Covington. Webb’s shelter has 71 beds but tries not to turn anyone away when the temperatures dip below freezing, she said. “We’ve been on overflow capacity since we opened the doors,” she said. The Covington shelter typically opens for winter on Nov. 1 but opened on Oct. 29 this year when the temperature dropped below 32 degrees that night, Webb said. The Winter Shelter in Queensgate can accommodate up to 200 adult men and women each night. And when it started to get so cold right around Christmas, the shelter decided to allow people to stay there during the day, too, even though it has meant blowing through the small, nonprofit organization’s budget, Webb said. So far, about 60 or 65 people have been staying at the shelter throughout the day. They are allowed to leave once during the day to go to the library or the store or just get some time away, Webb said. Shelter guests also get smoking breaks, just as they do at the Winter Shelter. But the Covington shelter has such a small staff that they can’t allow people to come and go all day because it would be too difficult to keep track of who is there and who isn’t, Webb said. “We’ve been trying to do the right thing,” she said, but there are still people who won’t stay there. 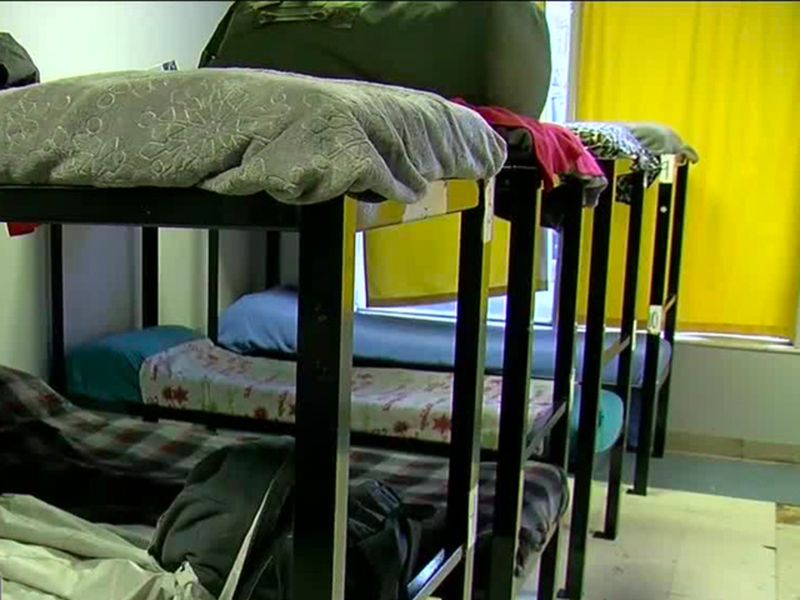 The Emergency Shelter of Northern Kentucky has 71 beds but doesn't turn anyone away in the winter. Even those who get to the shelter sometimes struggle after they arrive. Nobody wants to live that way, Webb said. Capacity hasn’t been the problem in Hamilton County. The Winter Shelter has room for 200 adults on any given night and had nearly 100 spots available the day Ken Martin died. It opens at 7 p.m. each evening and closes at 6 the following morning. Landis and others have questioned where people are supposed to go for warmth that early in the morning. But Finn said the reason the shelter closes so early is because most of the people who stay there wake up early and leave by then anyway. The homeless people who stay in shelters have access to daytime programs and services, giving them places to go inside when it’s very cold or very hot. Tents at a local homeless encampment in December. But Hamilton County doesn’t have a daytime shelter specifically for homeless people who stay on the streets. “That is definitely a gap,” Finn said. The people who stay at the Winter Shelter tend to go somewhere to get a free breakfast after the shelter closes. City Gospel Mission in Queensgate no longer offers free breakfast to people who aren’t staying in the City Gospel Mission shelter. 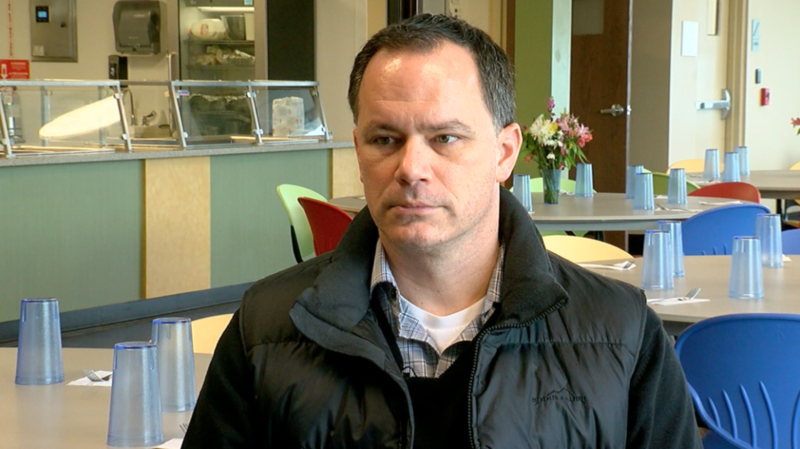 The shelter’s policy changed in June so City Gospel Mission could focus more on the men staying in the shelter, said Kevin Rosebrook, vice president of homeless services there. City Gospel Mission still offers dinner to as many as 50 non-residents each evening, he said. 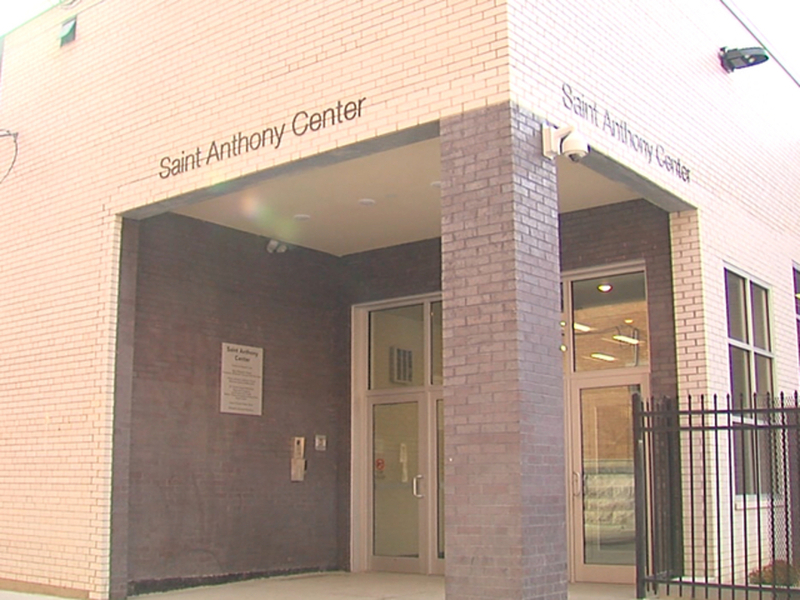 But the St. Theresa Calcutta Dining Room at the new St. Anthony Center in Over-the-Rhine now offers free breakfast from 7 to 9 a.m. Monday through Friday. The dining room reopens at 4 p.m. to serve a hot dinner five nights a week, too. The facility has security cameras and a guard on duty and lockers so that people can store their belongings when they are there, Schuermann said. The St. Anthony Center in Over-the-Rhine. Martin was a regular there, she said, and the staff and volunteers knew him well. When it’s freezing cold outside, the St. Theresa staff asks a Cincinnati police officer to visit and announce that it’s too cold for anyone to sleep outside. The officer offers to drive people to the shelter. And for anyone who doesn’t want to ride in a police car, there are volunteers who offer rides, too. Cincinnati City Councilman P.G. Sittenfeld questions whether transportation is a barrier when it comes to getting people on the street into shelter when the temperatures drop. The Winter Shelter is only a mile from Government Square, where Martin’s body was found. But a mile can be a long, difficult walk when it’s cold and dark outside, Sittenfeld said. He wants local government leaders to meet with Finn and other experts to determine whether there’s a better way to find people sleeping outside and get them into shelter when it’s cold. Sittenfeld said it’s also important for more people to know what resources are available for homeless people and tell people on the street where they can go. He wonders if anyone walked past Martin without urging him to get inside for warmth. Landis and Maslow’s Army are advocating for a daytime center that would give homeless people who live on the street a place to go after the Winter Shelter closes. Landis also said that if Maslow’s Army got the right space, the group could provide a different type of nighttime shelter that would be more comfortable and welcoming for people who won’t use the current shelter. Finn said most homeless people who live on the street stay warm during the day by going to soup kitchens for meals or spending time at the public library. The coming weeks could bring debate about whether local leaders should be doing more, especially in the wake of Martin’s death. 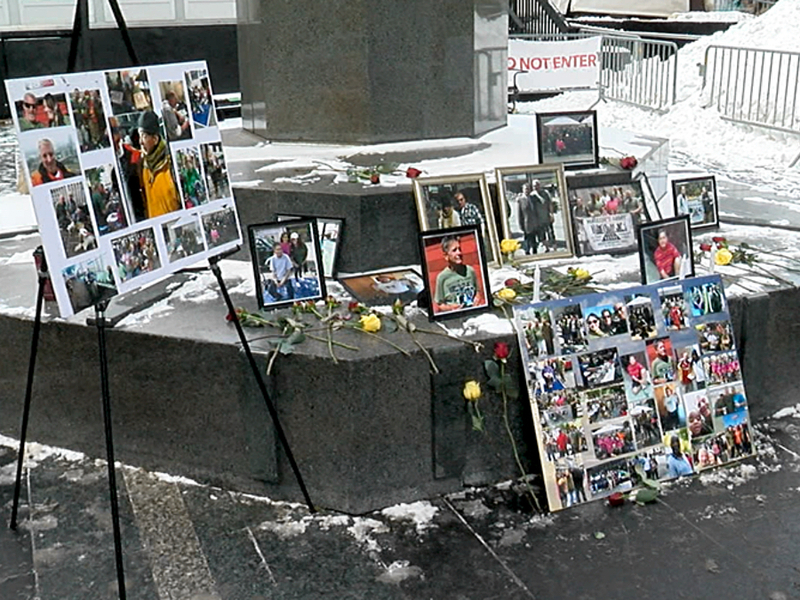 A memorial for Ken Martin on Fountain Square. Schuermann said she thinks the community must. 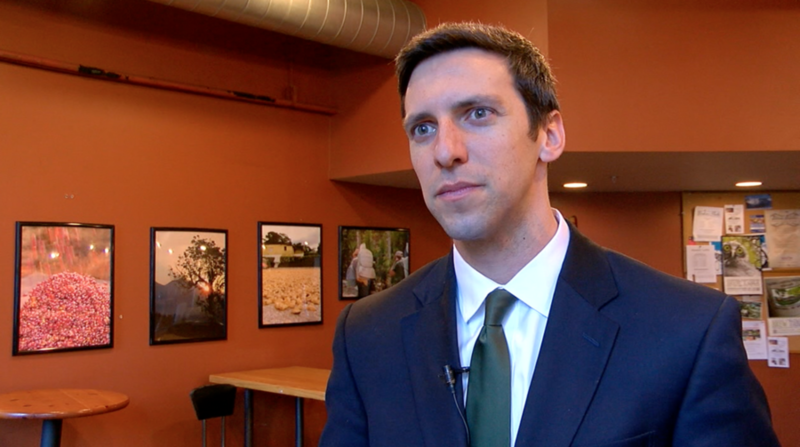 Sittenfeld said the answer might be more street outreach workers throughout the winter. Just because the people on the street make up only 10 percent of the county’s homeless population doesn’t mean the community shouldn’t try harder to keep them safe, he said. In the weeks ahead, community leaders likely will discuss how far that compassion should extend when it comes to those who live on the street. Ken Martin was homeless for four and a half years before he found a place to live and started to turn his life around. He told WCPO about his progress in May but became homeless again several months later. He was found dead Downtown early the morning of Dec. 26, 2017.